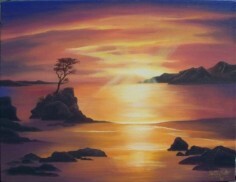 Landscape Oil painting of Sunrise Over Tapu Bay. Located close to Kaiteriteri Beach out from Nelson, New Zealand. 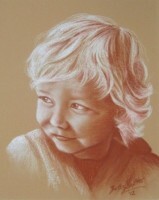 Commissioned Portrait in pastel of two young girls. Full colour on toned pastel paper. Tryptich on canvas panels 1080 mm x 610mm. Expressing the joy and energy of horses running free. 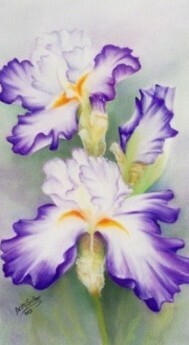 In Full Colour Pastel, Pencil, Charcoal or monotone as below. 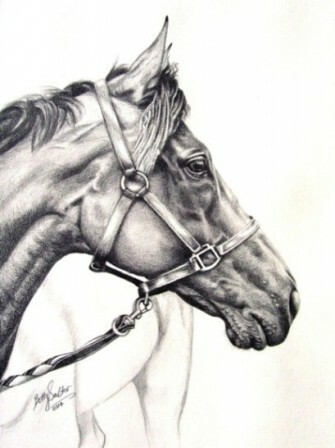 See Animals - Horses gallery. Fantasy paintings, each one uniquely combining reality with dream-like features. 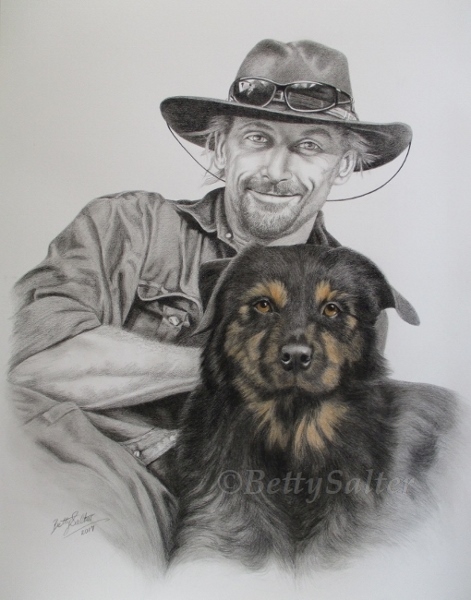 Our family used Betty to commission a painting for our Father's 60th to represent his life.We brought her a selection of photos and within minutes she had put some amazing ideas together. She kept in touch with her progress and updated us all the way.It is a painting that is very special to our family and will hang in our family's lounge for years to come. Thankyou so much Betty, you were such a pleasure to deal with. Justine. 'You are an amazing artist. 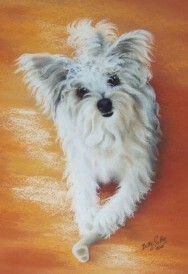 Thank you for your lovely portraits of our animals. You have touched so many hearts including mine." drawn in the Year of The Horse. drawing pencil on 300gsm drawing paper. Videos and other art also on my Facebook page. See links under the orders page. 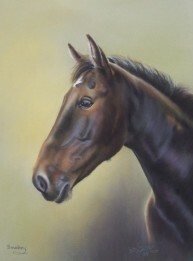 With over 20 years experience in providing commissioned paintings for customers, I can assure you of a unique work of art to suit your personal requirements and provide years of enjoyment.